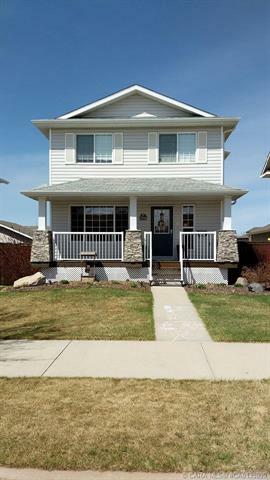 Immaculate Family Home in Valleyview - Walking distance to trails, parks and playgrounds - This home has been meticulously kept and cared for. Unique main floor living with partially open concept design - this allows for a multitude of uses with space for dining, entertaining, a quick coffee, homework and everything else your imagination can dream up. Beautiful kitchen with stained cabinetry, centre island, corner pantry, coffee bar and tons of extra cabinet/counter space. Excellent upper level with 3 bed, all good sizes, including Master with 3pc ensuite and walk-in closet. Finished Basement - tied together by a cozy gas fireplace - includes a family room with office space, 1 additional bedroom, 4pc bath and good storage. Heading outside you'll quickly notice this yard is second to none! Professionally landscaped with stone patio, raised garden/tree boxes, rainwater collection and to top it off a 22x24 Garage plus RV Parking. You'll love it!